UAVs are often promoted to potential operators as an extremely easy-to-use technology. Whilst the controls are relatively easy to grasp, the ability to operate these platforms competently and responsibly is a far more complex task. 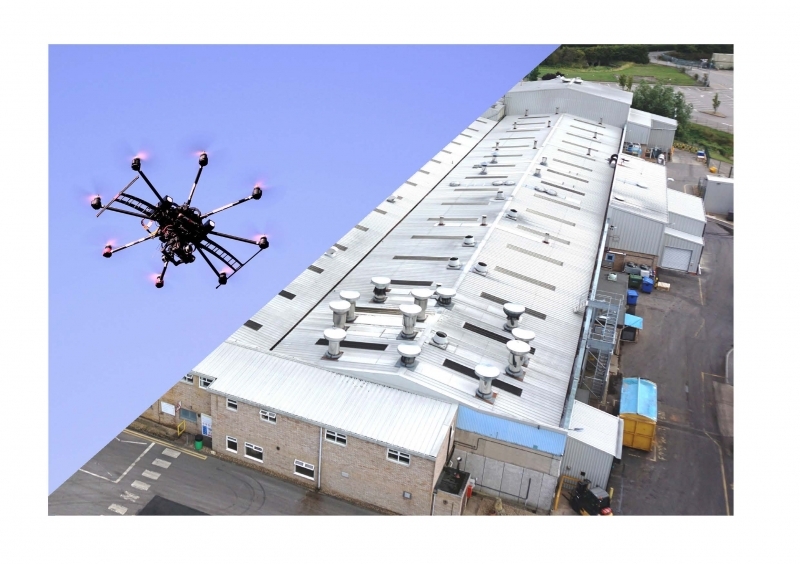 It takes a great deal of training, costly both in terms of time and finance, to raise operators to a level where they can fly UAVs with sufficient consideration of safety, data quality and legislation in order to really optimise their potential. This is a fairly obvious point, but many would-be operators underestimate the time it takes for pilots to become confident and competent enough to successfully fly their UAV. This does not just relate to practicing routine flying of the platform, but also the rehearsal of emergency situations and developing the way in which the flight team will work. All good UAV manufacturers will provide operators with a period of basic training as well as easy access to the specification of their chosen platform so that they are aware of its capabilities. From here it is up to the operators to practice their flying until they believe they are competent to be assessed by a CAA endorsed entity, the timeframe of which depends on the abilities and confidence of the individual. As well as flight training, the other part of in-house training that is required is the flight team’s familiarisation with and testing of various flight procedures. This includes technical specifications, routine procedures (such as pre-flight and post-flight checks) and emergency procedures (for instance, what the flight team should do in the case of a data link loss or critically low battery levels). Operators must be able to fully comply with these in order to guarantee their flight safety and to protect them in case of any accidents. They will also be tested on their ability to recall their procedures in detail during their flight exam. 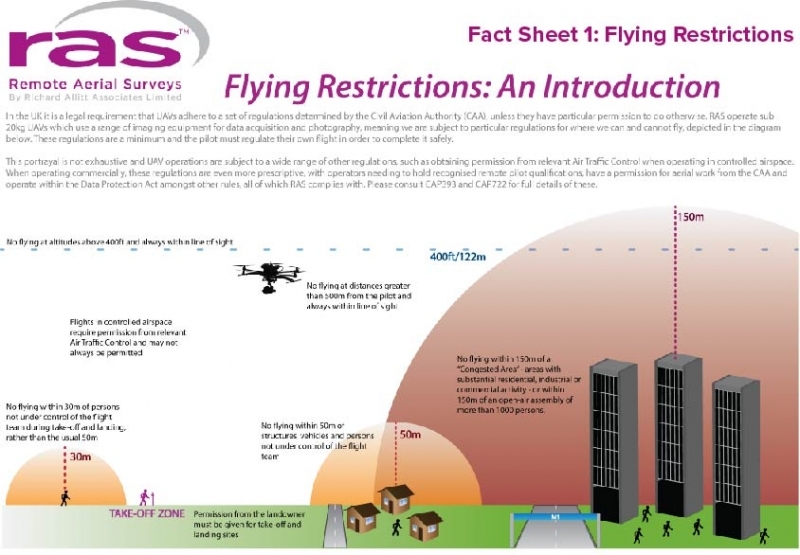 These procedures will be described in the organisation’s Operations Manual, which will be assessed by the CAA as part of their granting of a Permissions for Aerial Work (PfAW). The first formal assessment in the process of obtaining a CAA PfAW is pilot competency assessment. This takes place in two contexts; a ground school exam and a practical flight assessment. – Map/chart reading skills; pilots must be able to demonstrate competency in understanding basic and advanced cartographic concepts and apply these in the context of low level flights. – Evaluating meteorological data; pilots must be able to recognise and anticipate weather conditions, including different types of cloud cover, wind, fog and ice. – Principles of flight – the pilot must be able to describe the different physical forces acting on a flight, and understand how these are used to perform the flights. – RPAS components – pilots should be able to demonstrate an understanding of the different physical components which make up a UAV and its controls. – Applying air law – the pilot should have a thorough understanding of air law, both international and internal. They should be able to demonstrate how this law applies to unmanned operations and be aware of how law for manned operations may affect them. – Human factors – pilots must understand how human factors (such as medical conditions, fatigue and communication issues) could affect the success and safety of flights, and how to mitigate against these risks. – Emergencies and reportable occurrences – pilots must understand how to deal with emergency situations in a way that is acceptable to the CAA and be able to identify situations which must be reported. The final part of formal assessments which pilots must undergo is their practical flight assessment. This requires them to demonstrate how they would perform a typical job, as well as all emergency procedures. This includes assessments on flight team interaction, pre-deployment procedures, pre-flight procedures and post-flight procedures. All of this must be performed in compliance with their Operations Manual and CAA regulations. 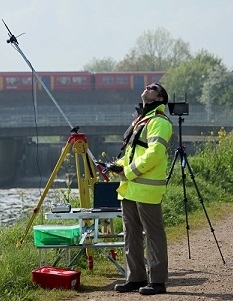 Following the successful completion of the flight team’s practical assessment, they may submit evidence for this along with other necessary documentation (such as the Operations Manual and evidence of insurance) to the CAA and from there be assessed on their merit to be awarded a PfAW. Becoming a competent professional operator of UAVs requires a long and challenging training regime, and this does not end once the pilot has obtained their official qualification. Pilots will need to be reassessed on their competency on a yearly basis to keep their qualifications current, and will need to prove that they have undergone sufficient flying hours to maintain their skills to a certain level. 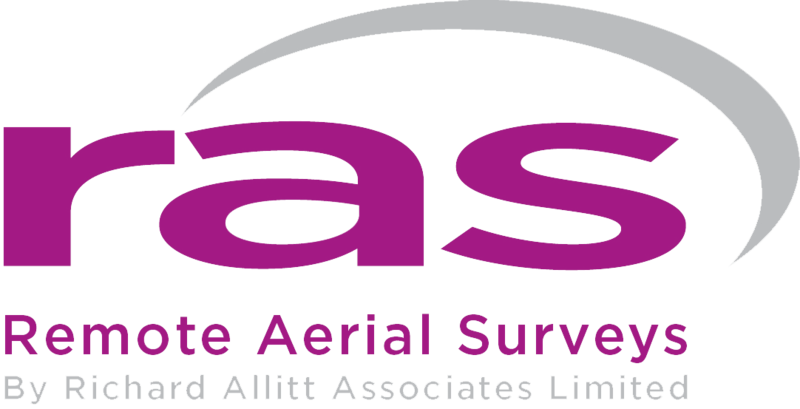 They will also need to prove a consistent awareness of and compliance to current CAA regulations, and demonstrate that they have responded to any changes within these in their operations.